The Teachout-Wu Campaign Team would like everyone to go sign up on the Amicus site and make 20 calls (at least). It is very easy – you can “phone-bank” from the privacy of your own home and computer. 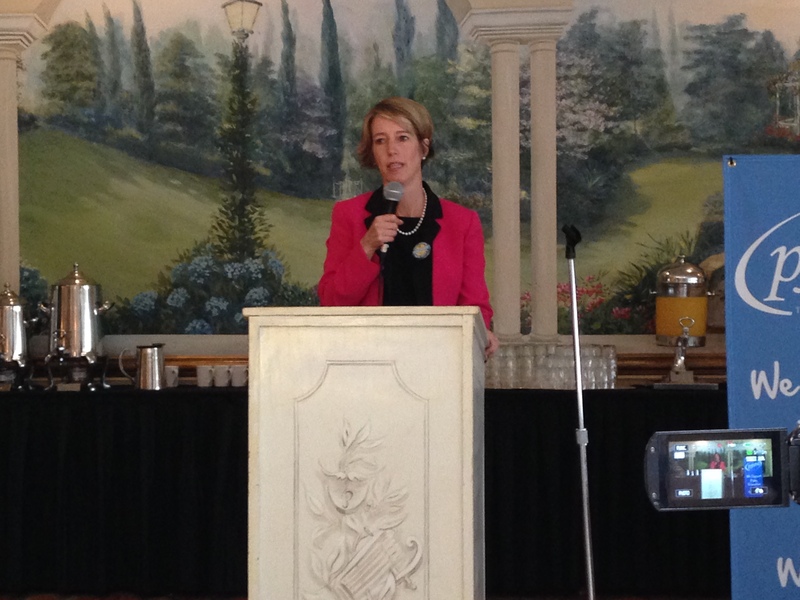 PJSTA members give Zephyr Teachout a standing ovation! 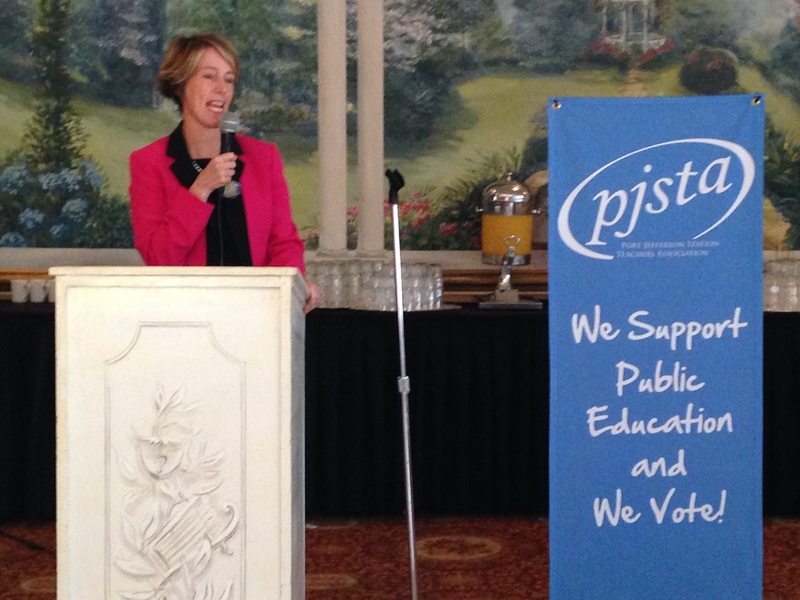 Zephyr Teachout addresses the PJSTA membership. 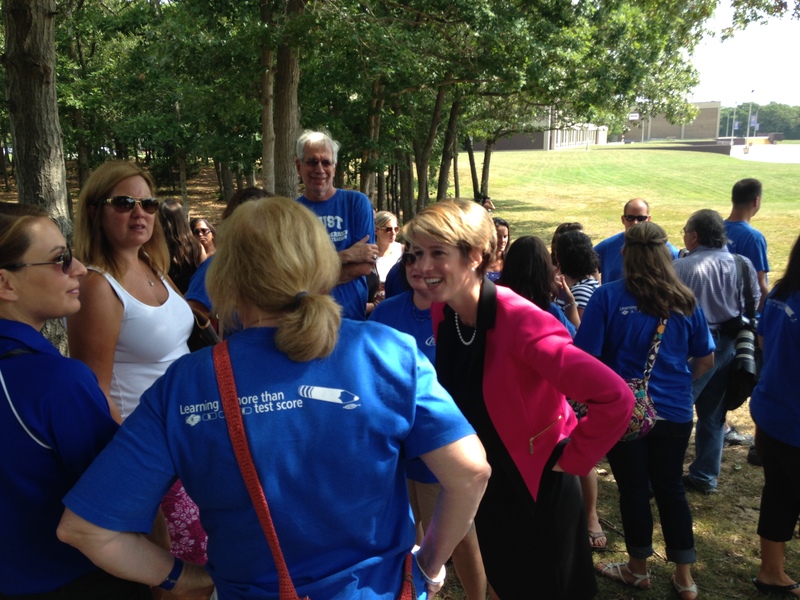 Zephyr Teachout mingling with PJSTA members before the morning press conference. We Support Public Education and We Vote! Beth Dimino introduces Zephyr Teachout at press conference. This entry was posted in General and tagged Teachout. Bookmark the permalink.